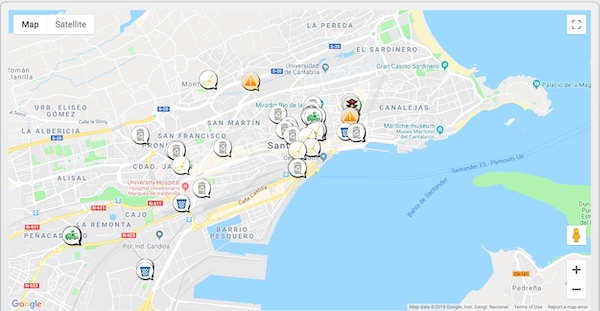 In Utrecht and Santander open data platforms enable citizens to help municipalities locate and fix life issues that affect public wellbeing, such as full garbage bins, public lightening failures, road safety, dead animals, abandoned cars and many others. Both cities are part of a group of data-savvy municipalities committed to improve everyday life using technology. A commitment confirmed by their pioneering status in a new global marketplace of innovative and cost-effective local governance solutions and services for citizens.The goal of this new “Front-Runner Smart City” program is forging a common data management mechanism to unlock the benefits of re-using increasingly available data to meet today urban needs, while preparing for tomorrow’s requirements thanks to the flexibility of open-source technology.This initiative, announced in November 2018, will have its first public venue of the new year at the annual Open & Agile Smart Cities (OASC) conference on January 17. The Front-Runner program, heralded as “Open APIs for Open Minds”, is co-managed by the FIWARE Foundation, an EU-backed independent body developing multi-sector smart technological solutions, and the TM Forum, the World largest international association of digital service providers. FIWARE and TM Forum intend to collaborate on a set of standards that are interoperable, scalable and replicable across local administration departments as well as national borders. Both organizations will take the floor at the upcoming OASC conference to present their joint-venture. The FIWARE-TM Forum Front-Runner technology builds on the FIWARE Context Broker incorporating the API Next Generation Service Interface (NGSI). The Context Broker was released in August 2018 and funded by the EU through its Connecting Europe Facility (CEF) Programme that aims to create the Digital Single Market in Europe and feed the European Data Portal and the EU Open Data Portal. FIWARE is now receiving additional CEF funding for further development and also participates in other EU-funded initiatives that can help the technology evolve. In the future, the CEF programme will launch open calls for public administrations to adopt any of its building blocks. The EU has already set up a number of funding instruments to support municipalities transition to a smart governance. A similar project is in place in Santander with the name ofPace of the City. “Our sensor infrastructure is based on FIWARE architecture, initially deployed under the SmartSantander EU financed Project, and we’re engaged to use open standards for further developments”, Juan Echevarria Cuenca, Innovation Technical Manager at Santander City Council, said. Open and Agile Smart Cities is a pioneering group of data-savvy municipalities committed to improve everyday life of their citizens. In addition to numerous OASC activities, they and their members are integral to a game-changing new global initiative for ‘front runner’ smart cities between open API leaders FIWARE and global industry association TMForum. The objective: a new global marketplace of innovative and cost-effective local governance solutions and services for citizens. Often complex open source and common data management mechanisms are required to unlock these benefits and re-use increasingly available data effectively. Martin Brynskov spoke to us on the eve of an important stepping-stone on this journey – the annual Open and Agile Smart Cities (OASC) conference – to help identify key elements and how a variety of actors are working together. Stefano Valentino for EDJNet: How exactly will OASC collaborate with the joint program launched by FIWARE and TM Forum ? Martin Brynskov: OASC supports the Front-Runner Programme launched by FIWARE and TM Forum first of all by validating data models and other mechanisms. Furthermore, several OASC member cities – for example Porto, Santander, Saint-Quentin or Vienna – are already part of the Programme. Within the SynchroniCity IoT Large-Scale Pilot, where we try to find the minimal common ground to exchange IoT data between cities and third parties, we already widely use TM Forum Business Ecosystem APIs and the FIWARE Generic Enablers in many aspects of the technical framework.What Minimal Interoperability Mechanisms (MIMs) and Smart City Common Data Models stand for? Please provide some examplesMIMs are the smallest common denominator that is needed to guarantee interoperability between (city) systems and data. The MIMs are for example “Context Management Information” and “Common Data Models”. The former is necessary, because without information that is telling users – for example information such as when data has been generated, how often it is updated, where it was recorded, what did it record, etc. – city data that is published as open data is often useless for third parties to use in their solutions. Common Data Models help to structure data and facilitate the automated exchange of data between systems and stakeholders, but only when cities use the same data models such as the FIWARE data models that are available on Gitlab / Github for everyone free to use. Collaboration between OASC together with the industry and cities will be funded though EU programs, such as the European IoT Large Scale Pilots (EIP-SCC), the Connecting Europe Facility (CEF) program or other funding programs? The IoT Large Scale Pilot on Smart Cities & Communities, named SynchroniCity, is set up around OASC, and OASC is a partner f this project. 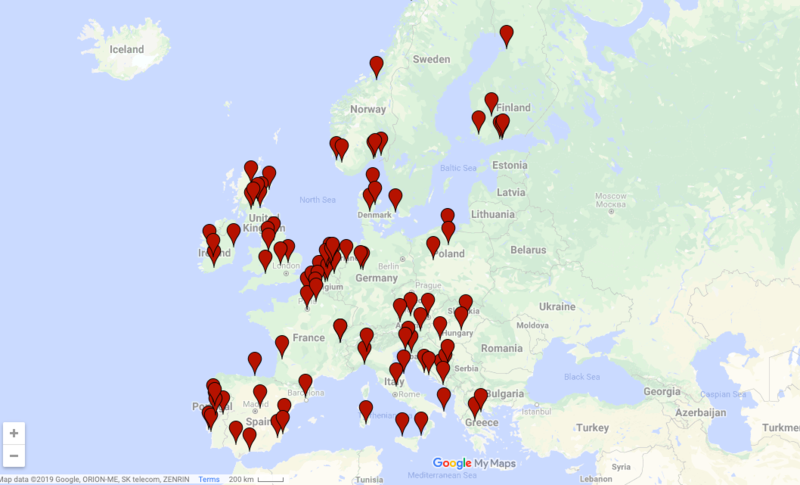 OASC has been working closely with the EIP-SCC since the beginning, and many OASC cities are part of EIP-SCC lighthouse projects. The OASC MIMs take the CEF building blocks into account, and the Context Information Management MIM is based on the CEF Orion Context Broker. EU programs are indeed a driver of cooperation between all stakeholders from cities, SMEs, companies and NGOs like OASC. What is SynchroniCity about ? When will you implement it in the different cities ? The vision of SynchroniCity is to create a market for IoT-enabled data and services. We try to achieve this goal by using the MIM approach. Within this project, every partner city provides IoT Data in a harmonised format – using common standards, data models and a ecosystem management API. This allows to scale the solutions that we were scouting through the open call in a whim; following the “develop once, deploy many times” principle. For cities on the other hand, this means they can procure services based on the open standards they’ve implemented. This will help them to avoid vendor lock-in. When you will start implementing your Minimal Interoperability Mechanisms program in the different cities? We will validate the MIM approach for the first time in the framework of the SynchroniCity IoT Large Scale Pilot. To date, 133 pilot groups have applied for the SynchroniCity open call that ended in September. Now, we are in the final phase of confirming 16 pilot groups which will deploy their solutions based on the OASC-based SynchroniCity technical framework starting in February 2019. That’s a total of 39 deployments in 18 citiesAt the same time, we are in the process of validating the MIM approach within OASC. On January 16, the Council of Cities will vote on the adoption of the approach. From there, and based on the feedback from the community, the cities will regularly vote on standards and baselines such as FIWARE generic enablers or TM Forum Open APIs, but also the output from standards developing organisations such as the International Telecommunications Union (ITU) and European Technical Standards Organisation (ETSI) to which OASC is able to contribute, e.g. through the SynchroniCity project. How will you collaborate with FIWARE and TM Forum to implement your program? FIWARE Foundation is an official partner of SynchroniCity, leading the work on common data models. The main contribution from OASC to the crowdsourcing of common data models will be to validate both the set of data models and the data models in use. What makes SynchroniCity different from and interoperable with other similar initiatives like IRIS project ? The difference between the IRIS project and SynchroniCity is that SynchroniCity is not focusing on one domain, like Energy, but looks at the underlying system. In addition, SynchroniCity was set up specifically to validate a common technical ground for interoperability among all domains. So SynchroniCity can quite easily interoperate with projects like IRIS. How cities affiliated to OASC and participating in both Synchronicity and other initiative such IRIS project can integrate all initiatives into one synergetic action ? OASC aims to be a common ground, where cities can bring in their expertise from various projects into the process of selecting standards and baselines to support the MIMs. As mentioned earlier, we have established an internal feedback and voting process for our member cities. Our goal is to further improve these processes to be able to support cities and communities to become interoperable, to innovate and procure based on open standards, and finally to de-risk investment in the digital transition through implementation of these commonly adopted standards. In particular, how you will collaborate concretely with the city of Utrecht which has already implemented this kind of services through the IRIS project? The City of Utrecht is a member city of OASC and we hope that they will bring their expertise and insights from the IRIS project to the OASC community of more than 120 cities worldwide. Utrecht is also working with OASC NL to ensure that there is optimal correlation between the national and international activities. 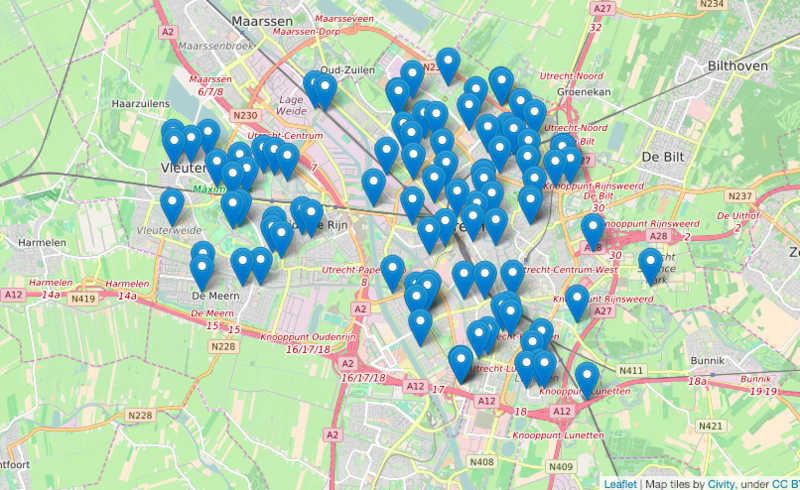 Concretely, the EIP-SCC-01 Data Task Group links data usage in the lighthouses, including IRIS, together with the rest of the smart cities data landscape, and Utrecht can be a concrete contributor to the Data Task Group by validating the OASC MIMs. Which best practices have been developed so far? We are still at the very beginning of the journey towards increased interoperability based on MIMs. But a nice example of a best practices that are based on the MIM approach of OASC and SynchroniCity is Eindhoven’s StarterK!t, the SynchroniCity Atomic Services, or the IoT Data Marketplace. More best practices will become available from the SynchronICity project during and after the roll out of the SynchroniCity pilots starting in 2019. What do you expect from your Connected Smart Cities & Communities Conference in Brussels on 17 January? We expect it to be the biggest CSCC that we have ever organised and we are looking forward to meet all the cities with whom we are mostly in contact via email throughout the year. But most importantly, we want to facilitate the exchange between all stakeholders that make the digital transition possible and less risky – from cities, to policy-makers, companies and academia.